Nothing matches these rectangular frame pools. Size, strength, durability, and flexibility are all combined into our Rectangular pools. 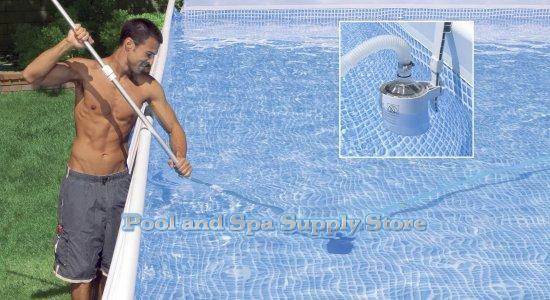 Ultra Frame Rectangular Above Ground Pool, size 32' x 16' x 52" with filter pump, ladder, ground cloth, pool cover, deluxe maintenance kit, surface skimmer, volleyball set and instructional DVD. The Rectangular Ultra Frame Pool is a cost-effective "easy set-up" alternative to over-priced and difficult to set up steel walled pools. 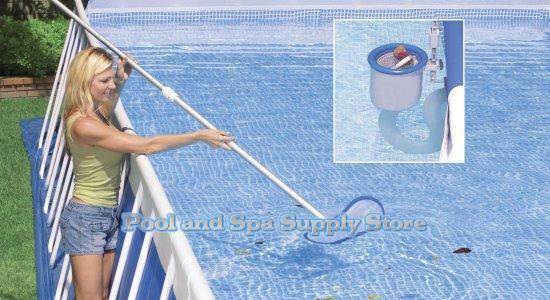 This pool is a great value with its versatility and durability. 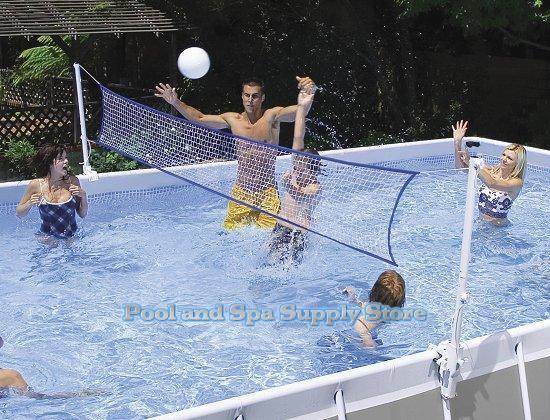 With proper care a Rectangular Ultra Frame Above Ground Pool will provide many years of family enjoyment. Rectangular Ultra Frame Above Ground Pools come as a packaged set that include lots of accessories! Rectangular Frame Pool liners are constructed using SUPER-TOUGH™ heavy gauge material. This above ground pool's sidewalls are SUPER-TOUGH™ and triple strong. The sidewalls are made with 3 separate layers of material for extra strength and durability - two outer layers of heavy-gauge PVC laminated to an inner layer of polyester mesh for extra reinforcement. The quality and design of this material results in extra strength and extreme durability. This reinforced PVC plastic is much thicker than other comparable above ground pools. SUPER-TOUGH™ PVC is an extremely strong and durable plastic material that is impervious to gasoline, oil and salt water. The strong molecular structure of this plastic makes it highly resistant to damage from abrasion, impact and sunlight. This special PVC plastic material also allows more pressure for greater rigidity while maintaining the PVC material's natural flexibility. Cover and Ground Cloth Included!